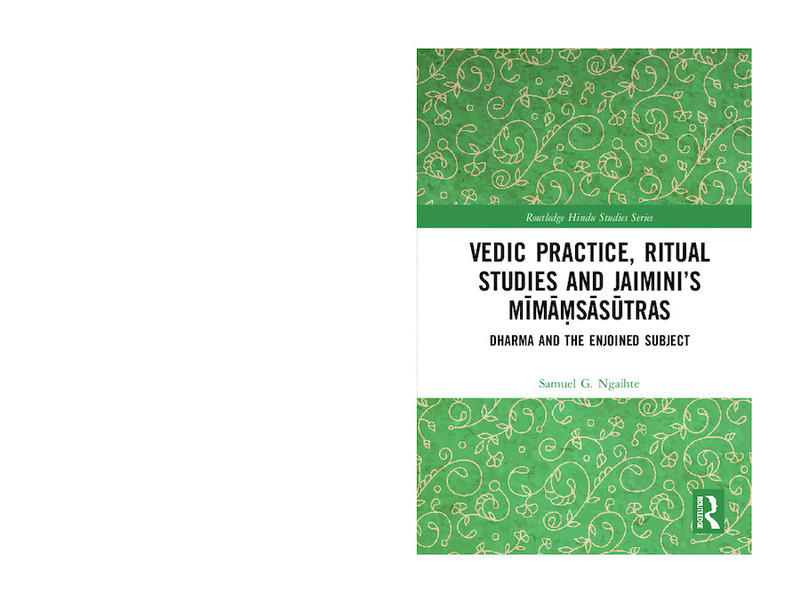 Drawing on insights from Indian intellectual tradition, this book examines the conception of dharma by Jaimini in his Mīmāṃsāsūtras, assessing its contemporary relevance, particularly within ritual scholarship. Presenting a hermeneutical re-reading of the text, it investigates the theme of the relationship between subjectivity and tradition in the discussion of dharma, bringing it into conversation with contemporary discourses on ritual. The primary argument offered is that Jaimini’s conception of dharma can be read as a philosophy of Vedic practice, centred on the enjoinment of the subject, whose stages of transformation possess the structure of a hermeneutic tradition. Offering both substantive and methodological insights into the contentions within the contemporary study of ritual, this book will be of interest to researchers in the fields of Hindu studies, ritual studies, Asian religion and South Asian studies. Samuel G. Ngaihte earned his doctorate from the Oxford Centre for Mission Studies, UK. He is currently engaged in research in North-East India.